Seattle No. 6 in new ranking of best places to live in U.S.
Seattle is the sixth best place to live in the country, according to U.S. News & World Report. It’s not getting any cheaper in Seattle, so it must be getting better, right? 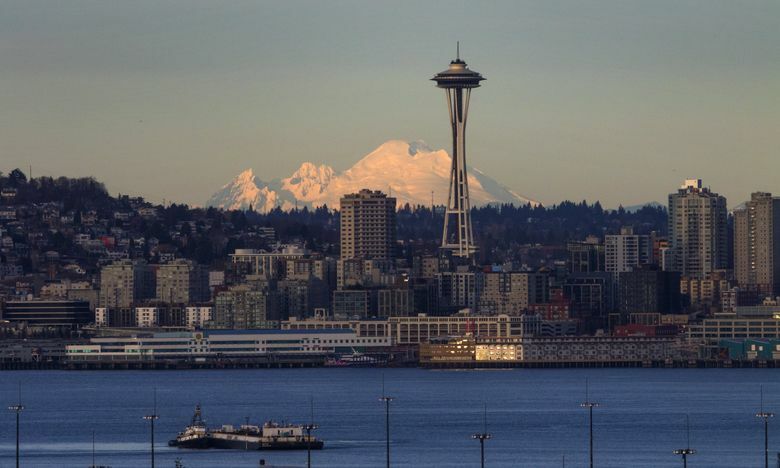 The Seattle area is the sixth best place to live in the United States, according to U.S. News & World Report’s annual index, rising from seventh last year. The publication ranked metro areas by migration, desirability, quality of life, “value” and job-market health. To assess value, U.S. News & World Report used U.S. Census Bureau data to compare income and cost of living in an attempt to show how comfortably people could live within their means. Department of Labor data indicated the strength of various regions’ job markets. Crime statistics, health-care rankings and education rankings were included in measuring quality of life. The rankings were still partially a popularity contest, though. U.S. News & World Report polled people throughout the country and asked them to vote on where they were most interested in living. 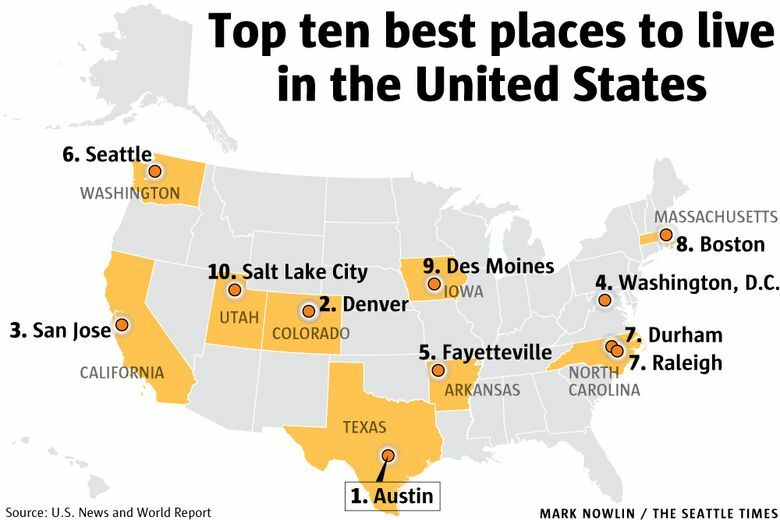 Austin, Texas, led overall rankings. Last year’s best place to live, Denver, fell to second place. 7. Raleigh & Durham, N.C.